salt potatoes | omfg. so good. 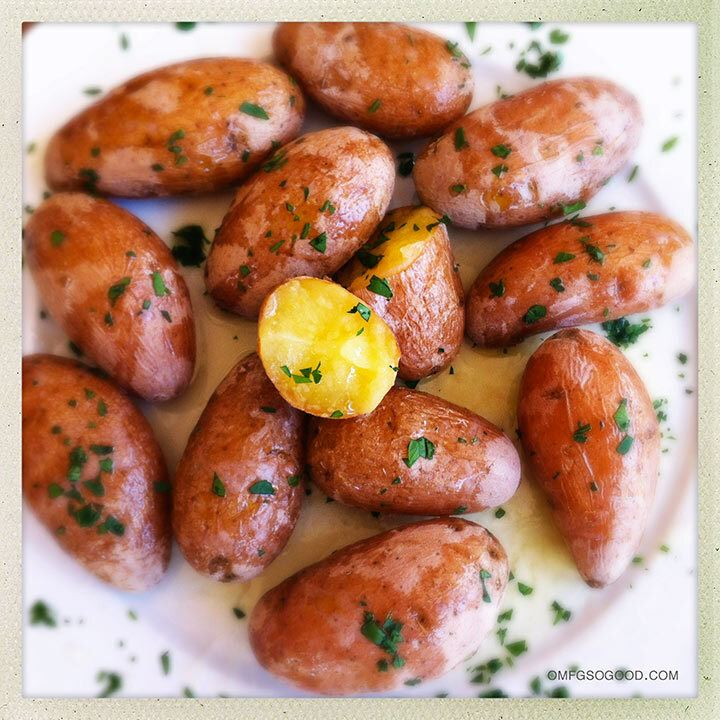 I grew up eating Salt Potatoes and, naively enough, thought everyone else in America did too. They’re such a staple on Upstate NY Summer meal menus that they literally sell the bags of baby red potatoes complete with a giant baggy of salt. Interestingly enough, the amount of salt used in this recipe does little to the actual flavor of the dish. It’s all about chemistry, folks. The high level of salt actually increases the boiling temperature of the water, causing the starch in the potatoes to cook more completely. The salt also creates a thin protective crust on the outside of the potatoes, so the hot water doesn’t seep into the skin while they’re cooking. The result is an amazingly creamy textured potato, combined with just the perfect amount of slightly salty flavor. 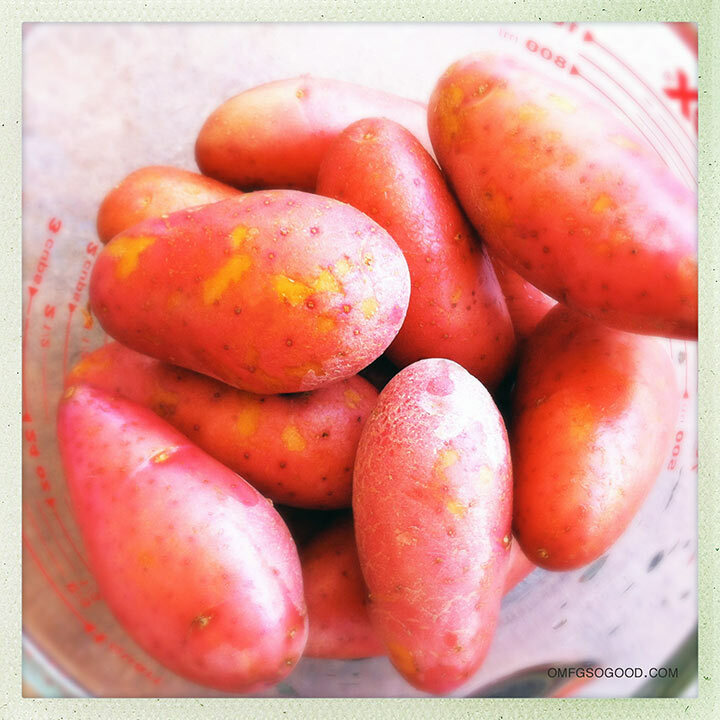 To make the potatoes, gently scrub and rinse the potatoes of any extra dirt and/or impurities. Bring the water and salt to a rolling boil in a large stock pot over medium-high heat. Add the potatoes, and continue boiling until they are fork tender (around 15 – 20 minutes, depending on the size of the potatoes.) Using a slotted spoon, transfer the potatoes to a wire rack set on top of a sheet pan to drain any extra water and let the remaining salt dry on the skins. 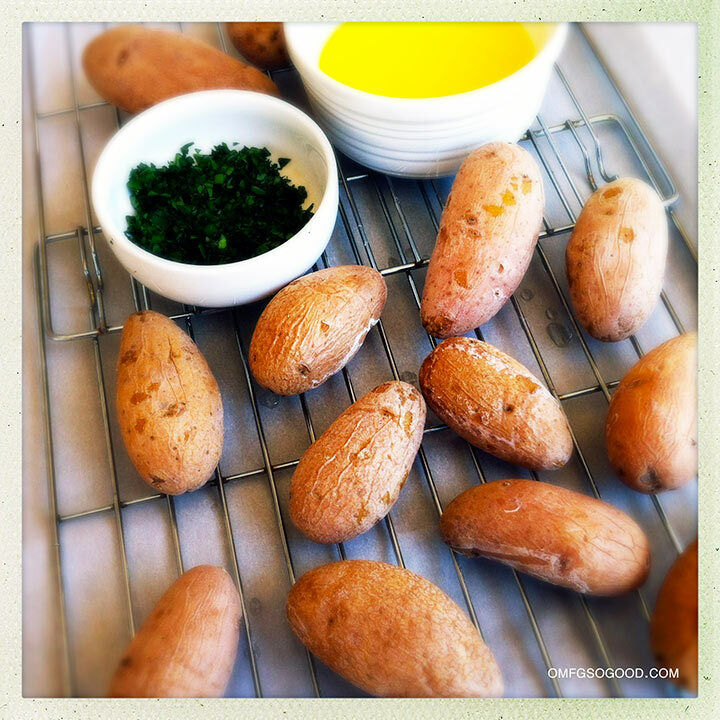 Serve these little guys up with clarified melted butter and fresh parsley. Boom, your new favorite side dish is born. And because you followed my instructions and used teeny-tiny baby potatoes, you can just pick them up and pop them right into your mouth. No fork needed. You are so right I assumed everyone ate them so when I moved to California and tried to buy some at the grocery store. They looked at me like I had two heads…..even better was trying to have gravy on my French fries. Lol good job Jen introducing the west to an upstate staple! I am from the midwest and isn’t something I grew up with but is on the menu for Wednesday evening. Can’t wait to give it a try. Once you go Salt Potatoes, you never go back! Pingback: cornell chicken salt potato and blistered tomato skewers | omfg. so good.